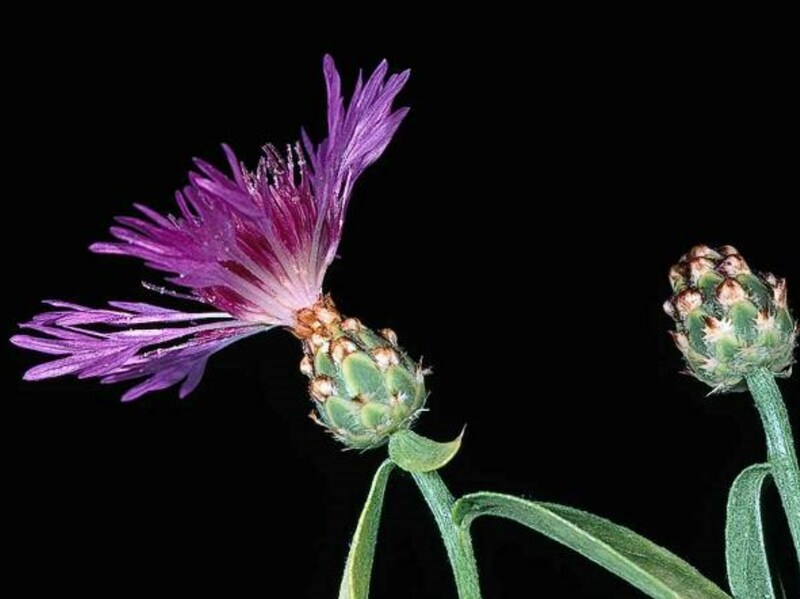 Centaurea diluta (spotted knapweed) is an annual herb/ (family Asteraceae) with pink-purple flowers and lobed leaves found in the San Francisco Bay area and south coast ranges of California. It is native to southwestern Europe. It favors grasslands. Its hairy seeds are dispersed via wind. It was said to have been introduced to Great Britain as a contaminant in bird seed.